- Create disc images or edit existing ones with easy tool — Image Editor. - Burn files, master bootable discs or save created projects to image files for further mounting. - Burn your favorite music to Audio CD discs. The most popular MP3, WAV, WMA, APE, FLAC formats are supported. - Extract selected image files without mounting the disc image. - Run Image Editor from DAEMON Tools or open a disc image for editing right from Windows Explorer. Image Editor provides all modern burning features. 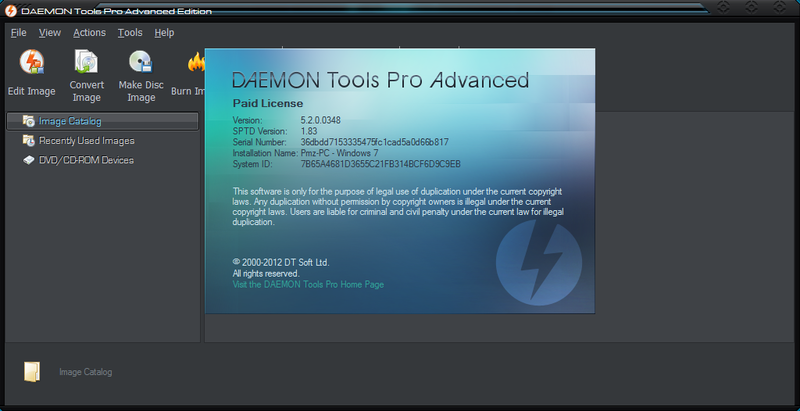 It is embedded to DAEMON Tools Pro, so there is no need in other burning software. Create images using preset profiles, compress data, split image files, protect your image information, burn to CD, DVD discs. With DAEMON Tools Pro Advanced you have ability to create up to 32 DT and SCSI virtual devices in all and 4 IDE virtual devices. Advanced emulation features are available for SCSI and IDE devices only. 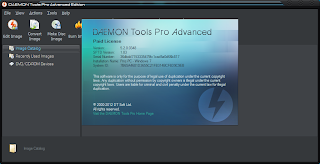 DAEMON Tools Pro Advanced mounts *.mdx, *.mds/*.mdf, *.iso, *.b5t, *.b6t, *.bwt, *.ccd, *.cdi, *.bin/*.cue, *.ape/*.cue, *.flac/*.cue, *.nrg, *.isz disc images. You can also perform image mounting to physical IDE/SATA devices via advanced attaching functionality and mount images to local NTFS folders. Do you have collection of different disc image types where each has some specificity? Can’t you protect some images due to their format restrictions? Do you want all images in catalog to have a single format? — Convert your image files to Media Data eXtended format (*.mdx files). 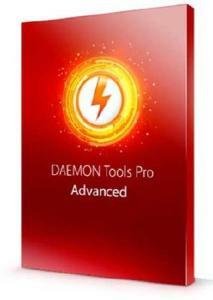 It is DAEMON Tools native format that allows to work with full program functionality. Feel free to use all DAEMON Tools features and possibilities with MDX format for disc images. * Enhanced extractor for burning protected discs in image editor.